How many ‘away’ games still to come? Our older producers always used to refer to the eighties when they spoke about challenging agricultural eras. They would tell the younger guys that what they are experiencing is nothing compared to what they had to go through in those years. But now even they are starting to think differently…they are changing their tune completely. The grain industry is extremely challenging these days. It is a struggle, year after year, and it seems as if everybody and everything is against you. How will we get through this? Things are even worse than the producers remember from the eighties – and I really do not think you can fault the memory of those guys! During the recent holidays I read up again about what the clever people say happens when you only play ‘away’ games (on the opponents’ fields). Nobody cheers you on, everything is strange and it seems as if everybody and everything are against you. Almost everything around you is unfamiliar and the language used next to the field is also not really constructive. 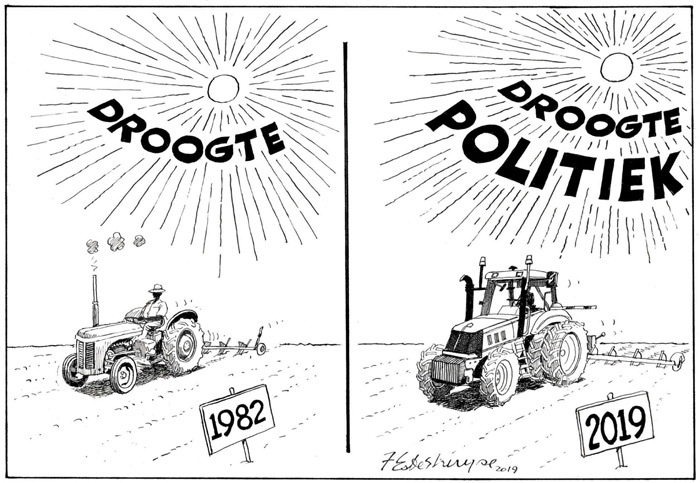 I am convinced that in agriculture we are only playing ‘away’ games at this stage: The climate is not favourable, the policy environment is not friendly and the politics remain negative – in spite of our best efforts. Our bank balances and emotional tanks do not have the capacity to deal with everything that comes our way. Everything is just extremely challenging. When I am faced by challenging scenarios like these, I usually do a few things: I read my Bible more often to see what people did in times like these. People like Daniel, Jeremiah and Shadrach, Meshach and Abednego. I also pray more. I consult my mentors and the people who have survived more than one of these challenging times. Another thing I do is to make sure that I do not make decisions without checking all the facts carefully. Emotions sometimes lead you astray when times are hard. Then I make sure that my relationships with the people closest to me (especially those who support me emotionally) improve. I also focus carefully on the needs and emotions of other people around me. I am not the only one struggling; everyone needs encouragement in such times. The grain markets have reacted to the climate and so far prices for the season are looking a bit better. However, there are few fields that promise to yield a satisfactory crop (especially in the west). It remains a big risk to try and estimate crops at this time of the year. Some fields still have to be planted, but estimates are already being made! Favourable prices do not mean anything if there is no crop. The one thing the scientists have predicted accurately is that there will be a definite split in the climate between the east and the west. If we had any doubts in this regard, this season is a reminder once again. No grain producer can approach the future in the same way we currently approach the present. What the road ahead holds we do not know, but together we will have to determine the alternatives we can consider: How we should adapt our businesses to what we know at present and how we should position ourselves for the future. Grain SA’s core focus remains to ensure that grain producers continue to be sustainable. That is why we should join you in doing everything possible to find solutions to achieve this – even if we play all our games ‘away’. In fact, it is the teams who win their ‘away’ games too who win the cup on their home turf in the final. Good luck!